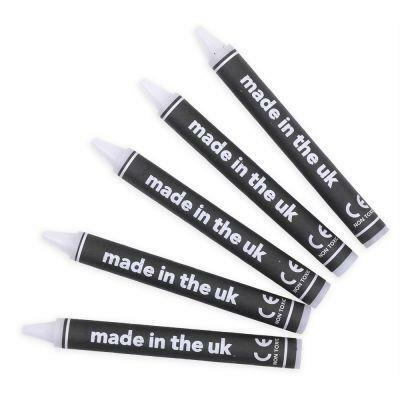 Pack of 5 transparent wax resist sticks. Applied like a crayon to the painting surface. It resists paint and creates shimmering effect such as reflections in water. 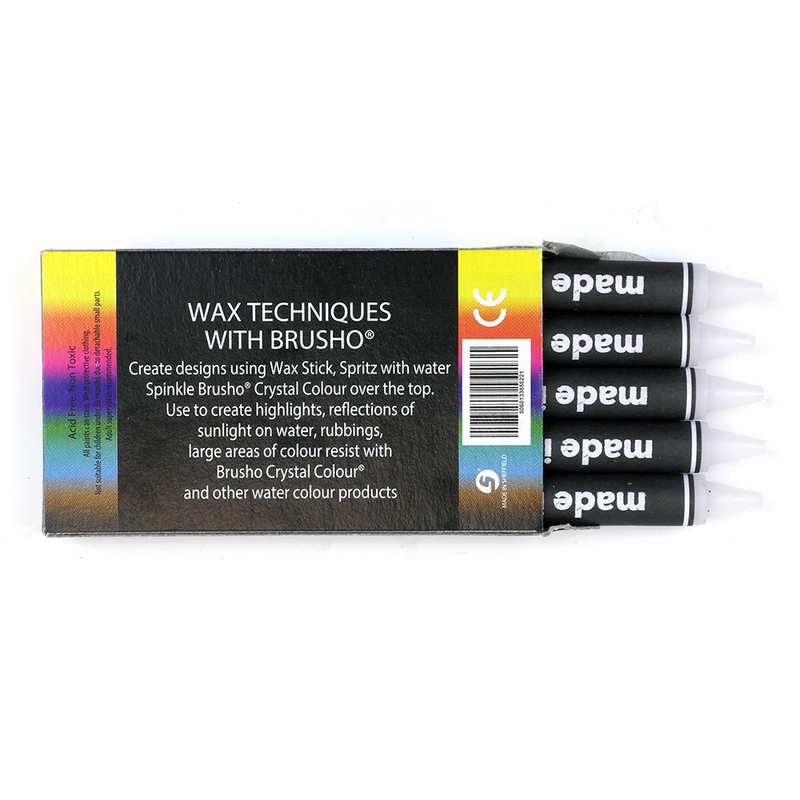 Ideal for creating striking effects when used with Brusho colours and other water based mediums. Some examples are sunlight on water and picket fencing.